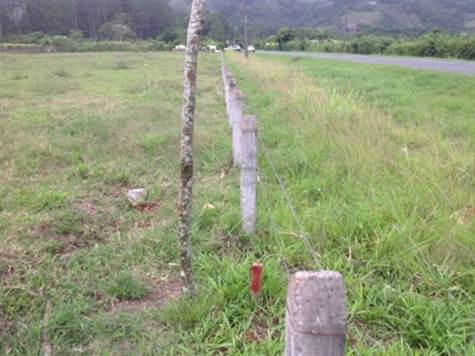 Great and magnificent flat lot in Cartago area, near Ajenjal, place with great economic openness, area attractions, great development, beautiful views of the mountains, the dam Cachi, Orosi and Tucurrique, plus the entire valley. The area is low-density residential use, has a lot segregation minimum of 500 square meters and a density of 50 dwellings per hectare. An ideal area for lots, second homes, residential development, ornamental plantings, among others. and with a price per square meter of $ 65! A lot with an excellent location, on main road with a nice weather!